Welsh space cadets are celebrating their tenth anniversary with this special live album (recorded in a studio actually, but with no overdubs). Comprised of two side-long tracks, it displays the instrumental, improvisational prowess that has won them fans the world over in both progressive and psychedelic camps. The title track combines Pete Bingham’s extended, flowing guitar lines over Meurig Griffith’s languid drums and Lee Relfe’s dreamy sax interludes, reminding of vintage Pink Floyd. There are also sensual jazzy grooves flowing throughout, touchbasing some recent favourites like Australia’s Necks and Germany’s ambient jazzers, Bohren und Der Club of Gore. 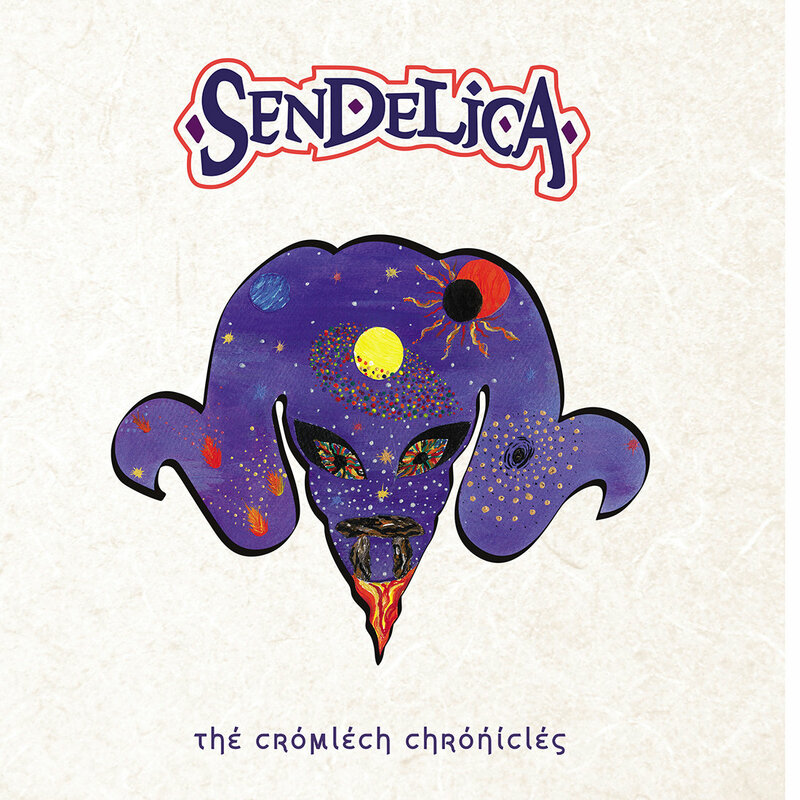 The title stems from an ancient megalithic monument dating back over 3000 which just happen to stick out of the ground a short stroll from their Mwnci recording studio. As such, there are impressive, imposing detours into eerie, mysteriously organic sections that could soundtrack monsters mashing around in the hills seeking young flesh for unearthly delights. Speedfreaking along at a breakneck pace, I think fans of everyone from Anthroprophh and Black Tempest to the Dead Sea Apes and our Danish friends Causa Sui and Papir. The extended guitar/sax jam that occupies most of the second half of the song (introduced with a familiar guitar sequence that all Floyd friends will immediately recognise) is a stunner. Flipping this sucker over, we have a another sidelong (three-song) suite that kicks into hyperdrive with a rather Sabbathian-styled. sizzling cover of Japanese legends Flower Travellin’ Band’s Satori before smoothly morphing into two more tracks whose titles suggest they were leftovers from those “chronicles” over on Side 1: ‘Vellichor’ and ‘Zenosyne’. The former (apparently a recently invented word to describe the “strange wistfullness of a used book store” infused with the auro of the thousands of books that populate its shelves is as dreamy as that rather elegant definition might imply. This is “float city”, lying on your back in an open field watching the clouds float by and dreaming of those innumerable adventures that lie in wait up there, just out of reach. ‘Zenosyne’ (aka, “the sense that time keeps going faster”) is, well, yeah, been there – done that! Eerie, pant-shitting terror like a razor blade slicing through naked flesh or the Texas Chainsaw’s Leatherface chasing you through the woods are some of the feelings evoked by this stalking track, perhaps the jazziest of the lot, if Coltrane’s wacky late-period insanity is your cuppa. It does creep up on you in inverse proportion to its proposed definition. In fact, I actually felt rather ‘luded out, like my legs were jelly and I was stuck in quicksand trying to escape some unknown apex pred on my tail. 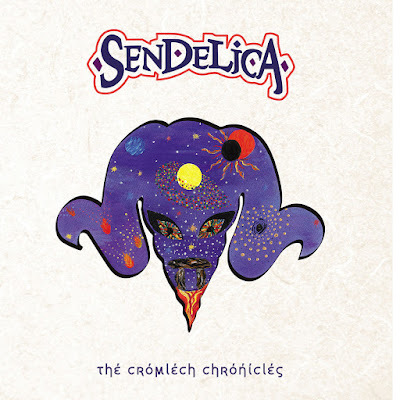 All together, this is one of my favourite Sendelica recordings, and if you’ve been a fan for a while or are intrigued by the previous description, you won’t be disappointed if you search this one out. And by all means try and catch them celebrating their 10th Anniversary Tour this month throughout Italy, Germany and the UK. Details here.